While the media rushed to exaggeration, misinformation, and fabrication, the real societal ills behind the deaths of 800 Irish children were largely overlooked. For a month now, sections of the Irish and international media have been convulsed by reports of shockingly high mortality rates at a state-funded, Church-run mother and baby home in the west of Ireland. It has been difficult to separate fact from fiction and too few commentators have sought to get to the bottom of the story, with many instead choosing to focus on salacious exaggerations, misinformation, and untruths. Yes, there was a shockingly high infant mortality rate in the Tuam mother and baby home run by the Bon Secours congregation of nuns. Between 1925 and 1961, 796 infants died. Many of the children, it appears, were buried at an unmarked grave, which was lovingly tended by local Catholic families for decades. Now, the tragic deaths of so many youngsters should be devastating enough in itself to warrant further investigation. But some media commentators and seasoned campaigners immediately sought to exaggerate the story in the most appalling fashion. The children were soon forgotten in the dash to hang their deaths as a crime around the neck of Catholic Ireland. 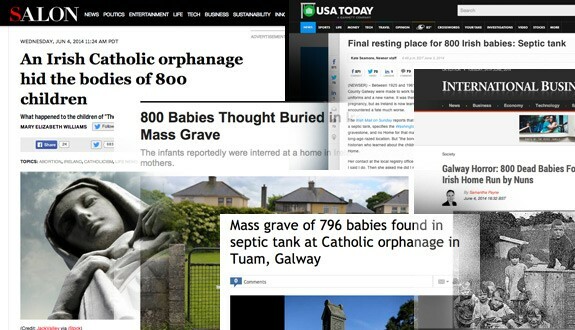 In media reports, the common grave soon became a “mass grave” and then a “septic tank.” The nuns were accused of “dumping” the children in the grave, and there have been suggestions that police should open up a criminal investigation into the deaths despite absolutely no evidence that any of the tragic deaths were in untoward circumstances. The government has promised a Commission of Inquiry to look at the issue. However, some are wary that the terms of reference may be set so narrowly as to include only Catholic-run institutions, leaving out so-called “county homes” where many unmarried mothers lived with their newborn babies. Former residents of a Protestant-run home in Dublin have also complained that their plight has been ignored. The world’s media soon arrived, inevitably adding more heat than light. A Washington Times headline screamed, “Catholic Church Tossed 800 Irish Orphans into Septic Tank”; Salon’s stated: “An Irish Catholic Orphanage Hid the Bodies of 800 Children.” More fuel was added to the fire by Father Brian D’arcy, a liberal priest and darling of the Irish media, who likened the nuns’ behavior to that of the Nazis during the Holocaust. Despite the misreporting, it’s important to be clear: the Tuam mother and baby home was a terrible place with awful conditions that reflected a society build on petty snobbery; “illegitimate” children and unmarried mothers were treated in a very unchristian fashion by a country that professed to be a bastion of Catholic virtue. 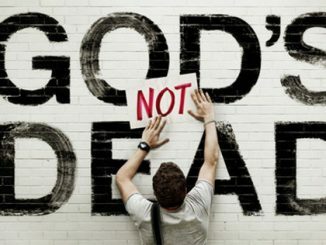 It is unlikely that other, similar homes—whether run by the Church, state, or another religious denomination—were any less harsh. “The story here is the appalling death rate. While I was as familiar as anyone with the existence of mother and baby homes, I had no idea the mortality rate was so high—three times the national average, which was dismal in itself,” she said. Why is there such a willingness to believe the very worst about Catholic Ireland? Why is there such an obsessive focus on the terrible things that sometimes happened here when terrible things, often of a similar nature, happened in almost every country, many of them neither Catholic nor Christian? The government Commission of Inquiry is expected to begin work within weeks. But what are the “known unknowns” in a sea of misinformation? Mrs. Corless, who lives near the site of the Tuam mother and baby home, has been working for several years on records associated with the institution. Her research has revealed that 796 children, most of them infants, died between 1925 and 1961, the 36 years that the home, run by Bon Secours Sisters, was in operation. The children’s names, ages, places of birth, and causes of death were recorded. The average number of deaths during the 36-year period was just over 22 a year. The information recorded on these state-issued certificates shows that the children died variously of tuberculosis, convulsions, measles, whooping cough, influenza, bronchitis, and meningitis, among other illnesses. The deaths of these 796 children are not in doubt. Their numbers are a stark reflection of a period in Ireland when infant mortality in general was much higher than today, particularly in institutions, where infection spread rapidly. At times during those 36 years, the Bon Secours Sisters housed more than 200 children and 100 mothers, as well as those who worked at the home, according to records Mrs. Corless has found. Mrs. Corless believes that many of the children were buried in an unofficial graveyard at the rear of the former home. This small, grassy space has been attended for decades by local people, who have planted roses and other flowers there, and put up a grotto in one corner. Mrs. Corless was keen that a memorial with the children’s names should be erected. Local Mass-goers were soon alerted and parishioners began taking up a collection for such a memorial. If the commission is to paint a complete picture of what happened at the home, it will have to base its work on what is actually known and what can be uncovered. It will also have to focus on the wider context of post-independence Ireland. “It must be acknowledged that this is a complex matter, and none of us are wholly innocent of blame. Any investigation must give this truth grave consideration,” Mr. Dunphy said. Dr. Kennedy, who is the author of Cottage to Creche: Family Change in Ireland (Institute of Public Administration, 2001), contends that the national soul-searching now underway has underestimated the overarching fact of crushing poverty as it existed in the early years of the fledgling state. Dr. Earner-Byrne is also uncomfortable with the story being spun as Ireland’s “hidden history.” She maintains that “the discussion was being had at the time” regarding the treatment of single mothers and their children. For example, every year in the 1930s and 1940s the number of deaths of “illegitimate” children was published, she said. For Peter Costello, chief librarian at the Catholic Central Library in Dublin, it’s not credible to present the facts of the Tuam case as if they were unknown until this point. In fact, rates of death were extremely high among “illegitimate” children in general, and this was “well-known to officials from the earliest days of the Irish state,” he insists. One of every three “illegitimate” infants born alive in 1923 died before the completion of their first year of life, according to the annual report of the Registrar-General for Births, Deaths, and Marriages for that year. This was “about six times the mortality rate among legitimate infants,” the report found. The annual report not only noted that these rates were excessive, and that they were higher than those in England and Wales. They suggest there was a problem specific to Ireland. Archbishop of Dublin Diarmuid Martin has welcomed the setting up of an inquiry. “The only way we will come out of this particular period of our history is when the truth comes out,” he said. “The indications are that if something happened in Tuam, it probably happened in other mother and baby homes around the country. That is why I believe that we need a full-bodied investigation. There is no point in investigating just what happened in Tuam and then next year finding out more,” Archbishop Martin said. These and other questions cast a long shadow over Ireland. A Commission of Inquiry can answer some of them. Anyone interested in knowing the full truth must hope that the inquiry will be far more sober and balanced than much of the appalling reporting on this story that has taken place.